Costs – Manchester, New Hampshire professionals charge different prices for tree maintenance and removal. Find out more about the costs and what you should be paying for their help. FAQs – Trees in Manchester thrive or wilt depending on a variety of factors. Know them before the next planting season. Services – Find a professional in Manchester to help you get the right trees in the perfect spot. How Much Do Tree Services Cost in Manchester? Taking good care of landscape trees is important everywhere, but it’s especially important where the trees are periodically battered by harsh winds or heavy snowfall. If a tree is in such a position that it could risk life or property in the event of a nor’easter, it’s smart to remove it before the next big storm. The cost of tree care depends on the service. Here are the average prices for private tree maintenance and removal in Manchester, New Hampshire. For a given tree, the most expensive type of maintenance procedure is going to be its full removal. Moreover, if the tree has to be dismantled piece by piece because it is decayed or otherwise unwieldy, the bill will invariably go up. This is the case with the tallest and most dangerous trees. The average cost of tree removal in Manchester is $1,084, but the cost of professional services could be twice as much with the toughest jobs. Anyone who has had a tree removed knows the job isn’t over until the remaining stump has been extracted from the ground and chipped down to a pile of wood waste. For a mid-sized stump removal, owners in Manchester can expect a bill between $77 and $140. For a large stump removal, the price is unlikely to be cheaper than $83, including both labor and grinding equipment. Early maintenance makes a big difference in lifelong tree health. Many considerations arise to guide which maintenance procedures should be carried out. The average cost of maintenance for tree owners across the nation is about $485. Relatively few bills exceeded $580, but a few outliers report charges of $1,000 or more. Buyers can expect higher prices for the tallest, widest and hardest to reach trees in Manchester. New Hampshire’s largest metropolis, Manchester is referred to as a “City of Trees.” Located in the second-most forested state in America, Manchester features countless trees native to the woody acres that surround it. The town is inhabited by syrup-laden maples with astonishing fall colors, towering evergreen pines, and numerous specimens of white birch, also called the paper birch. The state tree of New Hampshire, the white birch, Betula papyrifera, resembles a lanky pyramid dominated by a single white-bark trunk which bears sap seasonally. 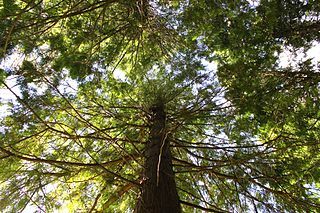 The tallest trees in Manchester include a 130-foot silver maple and a 128-foot yellow-poplar tuliptree, both New Hampshire champion specimens. 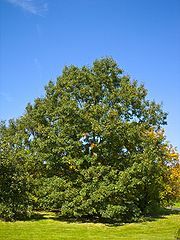 Other soaring varieties include the Siberian elm and eastern cottonwood. The Parks Department fields all tree issues that arise in the city, especially those concerning arbors located within a public right-of-way such as the street or sidewalk. For those who want to plant new trees and contribute to Manchester’s urban canopy, the City maintains a popular planting and care funding program called Project Greenstreets which is administered by the Parks Department. Residents may contact the Urban Forester for details. New Hampshire upholds rules with respect to coastal trees located within 150 feet of the shoreline. A grid and point system guides tree removal within 50 feet of a shoreline while the state specifies several rules for trees and other greenery 50 to 150 feet from the water, including the unaltered preservation of 25 percent of the area’s green cover. Comprehensive guidelines are provided by the municipality. Trees are the number one cause of electrical outages in the region. Recent powerful nor’easters have highlighted the particular danger posed by large shade trees that interfere with power lines during intense rainfall and snowstorms. As a result, it’s important for residents of Manchester to plant trees wisely in the immediate proximity of utility wires. The Public Service of New Hampshire, which conducts ‘vegetation management’ to clear the way for its power lines, recommends cherry, crabapple, dogwood and plum trees for the closest zone. Trees such as Oak, maple, spruce and pine should be planted no closer than 50 feet from power lines. The Manchester urban center is located on the Merrimack River in the Gulf of Maine Coastal Plain, a land of hills and sandy till soils. Area seasons are pronounced, having both very warm summers and cold winters with lots of snow driven by seasonal storms. It rains moderately throughout the year. The city is in USDA Hardiness Zone 5b where cold temperatures may drop as low as -15°F. In the northern reaches of greater Manchester on the way to Concord, temperatures can sink even lower. Despite these frosty, often inclement conditions, the town’s humid continental climate can support cold-hardy tree fruit including apples, tart cherries, Bartlett pears and peaches. Growers should plant new fruit trees in the early spring after the last frost has cleared. The Forest Health Section of the New Hampshire Division of Forests and Lands has timely information on current forest health issues. At the top of the list is white pine blister rust, a deadly fungus affecting high elevation white pines. There are regulations in place for currants, which host the rust. Also regulated are the emerald ash borer, hemlock woolly adelgid and pine shoot beetle. If a tree must be removed due to disease or decay, the easiest work may be mid-winter, when a ball of earth around the base of the tree can be frozen and dislodged with relative ease, making the tree’s removal a quicker job.